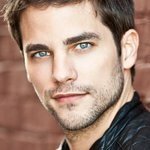 Pretty Little Liars actor Brant Daugherty will be hosting New Horizons' Havana Nights Gala this Saturday in Burbank. He took time out of his busy schedule to answer some exclusive questions. This isn’t your first time showing your support for New Horizons. What sparked your interest with this organization and their mission? My brother Adam was diagnosed with Asperger’s when he was nineteen. School had been difficult for him and nobody really knew why he was struggling. Once we understood what he was going through, we were able to meet his needs and make his life easier. I just wish it hadn’t taken nineteen years to get there. With organizations like New Horizons, we can improve the quality of life for people with special needs. When I first got to see their facility, I was so impressed with all the different programs they offer. They cater to a wide variety of needs and are able to help each client reach his or her potential. What perceptional changes would you like to see evolve regarding social interaction of individuals with developmental disabilities? I’d love to see nobody think twice about it. This is one of the things that New Horizons excels at. They give people a purpose so that they can be productive members of the community. By doing that, they are normalizing social interactions with people that have special needs. How do you feel about the increase in scripted roles for people with developmental disabilities in Hollywood? How important is this to America and the world? Our entertainment holds a mirror up to our society. As our society embraces and includes people with developmental disabilities, we will see actors and actresses with special needs be given more meaningful roles in the media. This is important not only because it makes interactions with these people commonplace, but also because it shows the world that we value them and their contributions. In addition to supporting New Horizons, you have shown your support for animal advocacy and international affairs. What other causes do you support? I firmly believe in helping animal shelters. I’ve also helped my Pretty Little Liars co-star Torrey DeVitto (who is also performing at the New Horizons gala) on her charity called Road to Hope, which gives aid to child caregivers in Africa. I know you adopted a puppy from an animal shelter. Why did you choose adoption? Every adoption saves two lives. When you take an animal home, you’re also opening up a spot so the shelter can take in another animal. My dog Knuckles came home healthy, happy, and housebroken. I see no reason to buy a puppy from a breeder when there are so many animals out there that never got a first chance at a good home. I can’t imagine life without Knuckles. He’s part of my family. I never thought this is a position I’d be in. As performers, we find ourselves in the public eye and I feel we have a responsibility to use that to help others. If people are willing to follow me on social media, I want to make sure I’m leading them somewhere meaningful. New Horizons 2015 Gala Fundraiser is only days away, and you will be a fabulous host for this great cause. How can your fans support people with developmental disabilities as well? Thank you for the vote of confidence! There are a few ways you can help. Of course donations are always welcome and go a long way. But you don’t need to have money to help. Your time is even more valuable. Go to New Horizons or to your local facility and offer to volunteer. You’ll get to meet some of these amazing people like I did and see firsthand how they contribute to the community. The more we include and support people with special needs, the more they will be able to excel and offer their skills. Congratulations on your success with Pretty Little Liars. What’s next for you that you’d like to share with your fans? Thank you! I’m getting ready to shoot an indie. It’s definitely a departure from what I normally do. Trust me when I say it’s going to be a good one. I know you attended Columbia College in Chicago – what are some of your favorite Chi-Town memories? Also, what are your Summer plans that you’d like to share with your fans? I love Chicago. I’m hoping to make a trip back this summer. It’s been a few years since I’ve been able to visit. I have so many great memories there: Playing hide and seek in Grant Park at night. Watching the sun rise over Lake Michigan. Working at 10pin bowling alley. Cruising through downtown on my bike. Riding the El home late at night. The insanity after the White Sox won the World Series. I’ll see you soon, Chicago.